Chocolate cake to the extreme. With a sprinkling of sea salt. 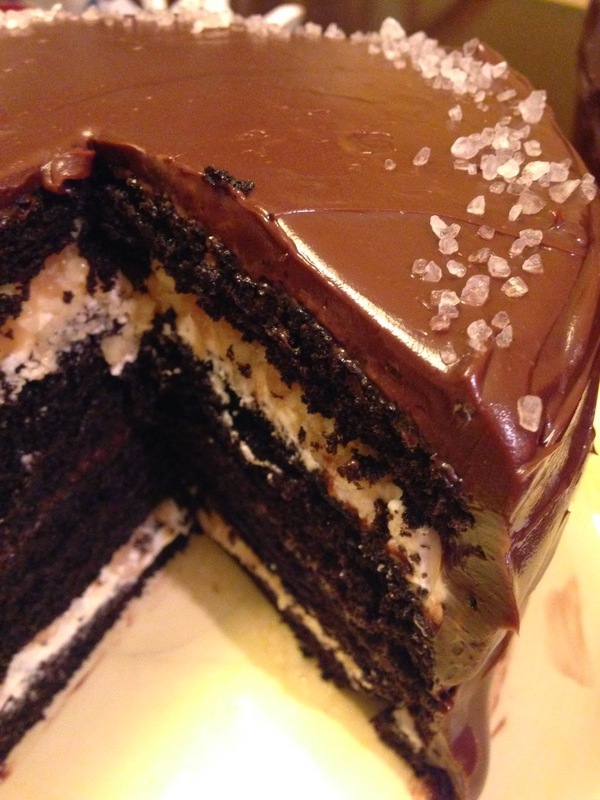 And a layer of homemade salted caramel. Seriously - this cake is ridiculous. Have I convinced you that this is the best chocolate cake EVER? Still on the fence about this cake? Read through this recipe and you can decide for yourself. Preheat oven to 350° F. Spray three 8-inch round cake pans with cooking spray and line the bottoms with parchment paper rounds. Into the bowl of electric mixer fitted with the whisk attachment, sift flour, sugar, cocoa powder, baking soda, baking powder and salt. In a large measuring cup with a spout, combine the buttermilk, coffee, oil, eggs and vanilla. Divide batter among the 3 cake pans. Let cakes cool in the pans for 10 minutes and then turn onto a wire rack until completely cool. In a medium saucepan over medium heat, stir the sugar and water until combined. Brush down the sides of the saucepan with a wet pastry brush and increase the heat to medium-high. Stop stirring, and let the mixture bubble until it reaches an amber color (about 350°F). Promptly remove the saucepan from the heat and whisk in the heavy cream (be careful, as this will bubble and steam aggressively for a moment) until smooth, followed by the butter. Preheat oven to 350°F. Line a baking sheet with parchment paper or a Silpat mat. In a medium bowl, combine the flour and sugar. Cut in the butter using a pastry blender or your fingers (or food processor), until you have distributed the butter and achieved pea-size bits. Let tray cool completely on a wire rack. Once cool, keep in an airtight container for up to 2 weeks. Prepare your fillings and frosting and ensure they are all at spreadable consistency. 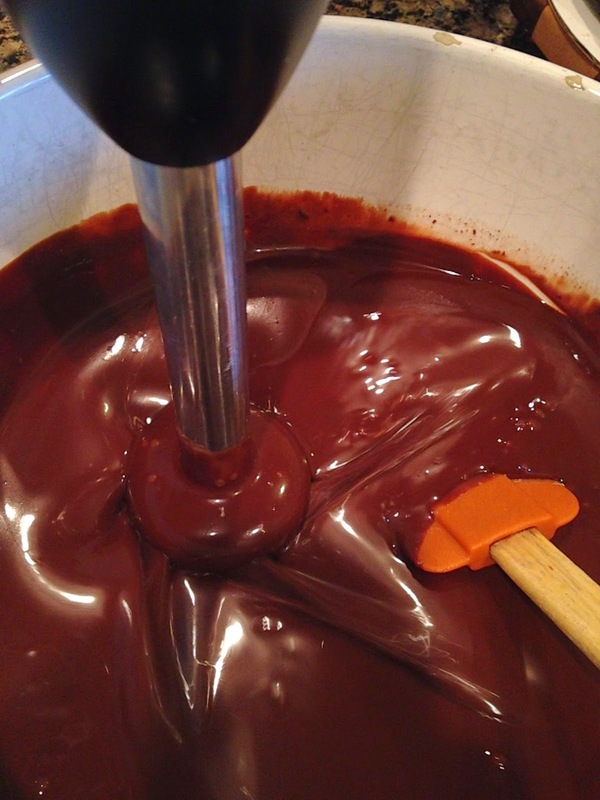 For the ganache, this will take about 15-30 minutes after making it, and about 30-60 minutes for the caramel. 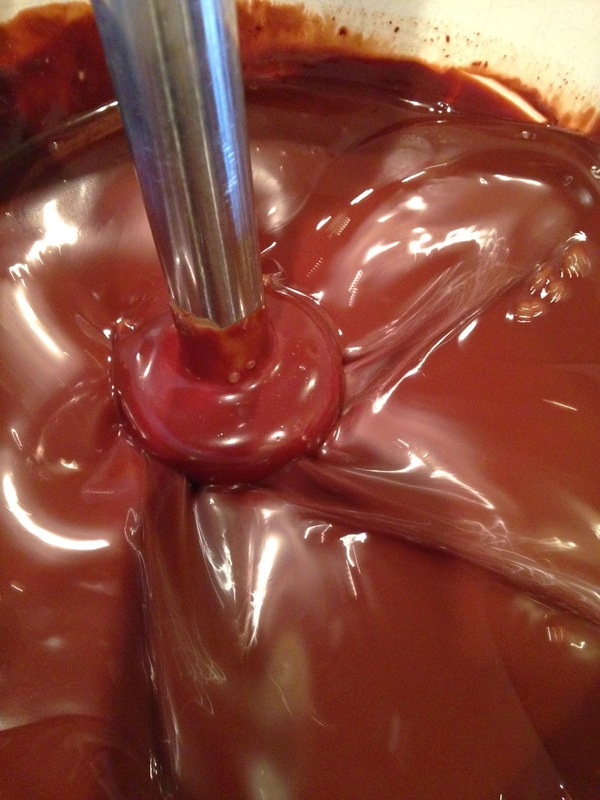 If you have made ahead, simply warm the ganache and let cool until spreadable, and do the same for the caramel. Finished cake can be kept at room temperature for up to 8 hours. Keep refrigerated if longer than 8 hours, but serve at room temperature. 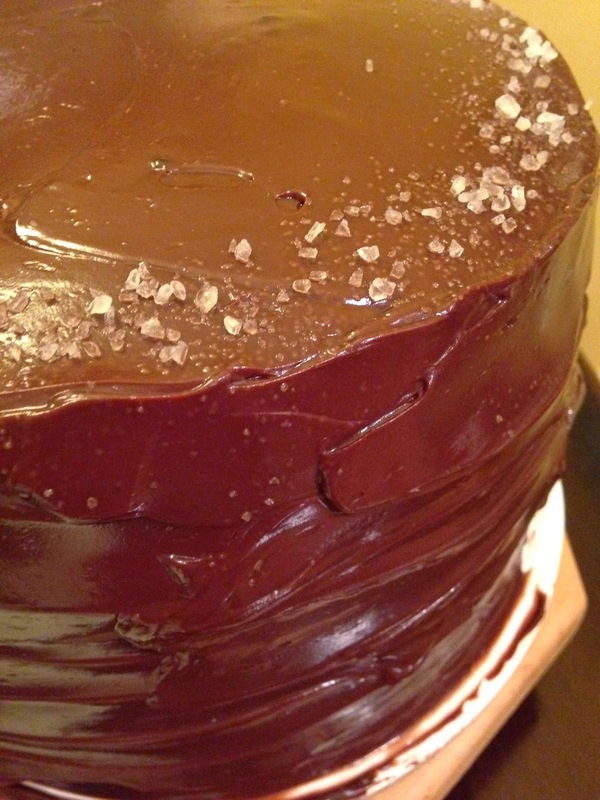 So there you have it - a KILLER chocolate cake recipe. 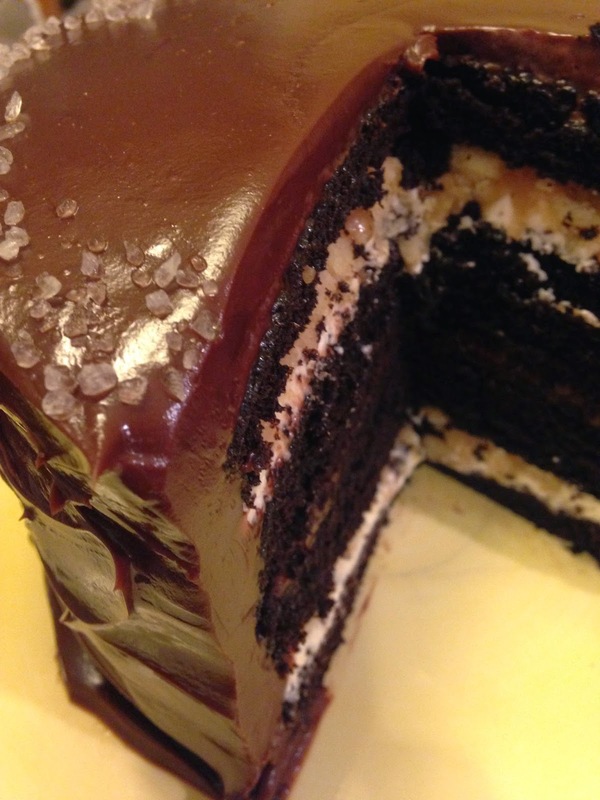 This cake is not for the average chocolate cake fan - this one is for the really intense chocolate lover. Apparently - I fall into that second category.